Get 35,000 points (after spending $3000 in 3 months) and the $150 annual fee waived in the first year1. Plus, get a $100 bonus (on travel, in the first 6 months). That’s a total value of $500! 95 Air miles = $10 gift card or $10 refund at the cash register of participating retailers. That makes 3,000 Air Miles worth $315.79. Get 20,000 Aventura Points when you make your first purchase and 15,000 additional points when you spend $3,000 or more during your first 4 monthly statement periods. 200 TD Points = $1 in travel savings for any amount that is over $1,200 for the same Book Any Way travel redemption request. Last edited by jerryhung on Mar 5th, 2019 10:38 pm, edited 116 times in total. Referral Guide as of today (May 26, 2016). How To Refer to a DIFFERENT card? - Applicant: AT THE BOTTOM, change card to THE CARD YOU WANT where it says "Not the right Card for you? Take a look at our other Cards..."
Your account must be in good standing. If this is a personal referral, you agree to only make recommendations to known friends and family members with whom you have a relationship and who have confirmed to you that they want to receive this communication. If this is a referral in the context of your business, you agree to only make recommendations to business contacts who you know and who have consented to receive this recommendation from you. You must not send recommendations to people you do not know. You can only receive a [B]maximum referral bonus of 225,000 Membership Rewards points per calendar year for approved referrals[/B]. Bonus point maximums may change at any time and if you change card products. Should the referral bonus amount change during the calendar year, you may receive a partial bonus depending on the available maximum bonus points. You are not eligible to receive this referral bonus offer if you have already reached your maximum annual referral bonus limit. The referral bonus will be awarded to you based on each eligible referral for which American Express receives an application that is subsequently approved, subject to all applicable terms and conditions. Due to the confidential nature of the approval process, you will not be notified when applications are approved or declined and any individual you have referred must agree to allow your account to be bonused upon approval or you will not receive the referral bonus. If our records indicate that any person you have referred has opted not to receive e-mails from us, your referral will not be sent and you will not receive the referral bonus offered as part of this program. Referral program varies by product and may be modified, suspended, cancelled or otherwise terminated without notice. Cannot be combined with any other offer. If the people that you refer have already applied for the product that you are referring without participating in this program, neither you nor they will be eligible for any referral bonus that may be offered as part of this program. Likewise, if the people you refer decide to apply for a Card through this referral program other than the one you have specifically recommended, the referral bonus for which you and they may be eligible will vary. Referral program participants should allow 8 to 10 weeks for the award of the referral bonus once program criteria have been met and must be enrolled in the corresponding loyalty program (if applicable) when the referral bonus is awarded. All products and services are subject to applicable Terms and Conditions. Canadian Tire Options MC - only got it to pay bills. I have SPG Biz. Referred 2 SPG Personal before the $500 -> $1500 minimum spending change. Spent $500 on both (Plastiq 2.5% sadly). Re-applied Chase Marriott - no decision, probably a decline. Frustrating! 2/15 called in to answer 4 ID Q's, approved ^maybe b/c didn't provide AMEX CC # above? Scotia Gold AMEX: Closed May 2017, re-applied via GCR $50, instant approval. Last edited by jerryhung on Apr 10th, 2019 7:05 am, edited 74 times in total. Amex CashBack - 5% on restaurant, grocery, gas for 6 months (limits apply), 1.25% for other things. After 6 months 1.25% on everything. GCR rebate available. Scotiabank doesn't sync with mint.com for me, so keep that in mind if you're a minter. Great idea and summary. Thanks! 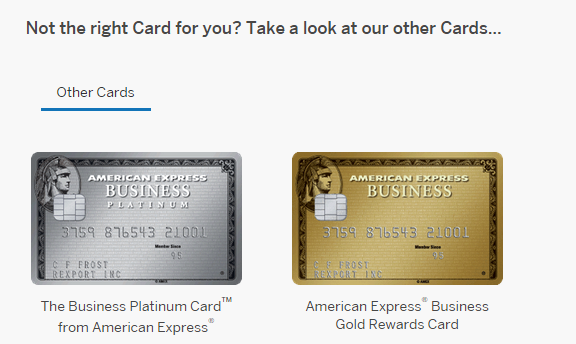 Amex business gold is only 30000mr if not using a referal. Good summary! 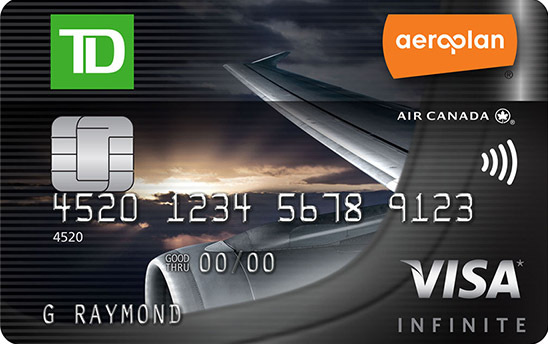 I want to apply TD Aeroplan Infinite VISA , but I didn't use my Aeroplan account for a long long time, and it indicated expired. Could I still use it when applying for this VISA card? Thanks! the td offer for the sony card got reduced from 100 to 20 now.